Senior Ben Cousins finished first in the 157 weight classes at the NCAA West Region Meet. Photo courtesy of Concordia Sports Information Office. March has been a favorable month for the Cobber wrestling team in recent years. The year 2016 marked the fourth consecutive year Concordia has finished second in the NCAA West Region Meet. The Cobbers were led by sophomore Jakob Stageberg and senior Ben Cousins who finished first in the 125 and 157 weight classes respectively. In all, six Cobbers qualified for the NCAA National Meet. Cousins credits the coaching staff led by Matt Nagel, who was awarded Region Coach of the Year, for the winning culture that has been established in the wrestling program. For Nagel, it is the second time in the past three seasons he has been named the Region Coach of the Year. Sophomore Jakob Stageberg finished first in the 125 weight class at the NCAA West Region Meet. Photo courtesy of Concordia Sports Information Office. Those duties, particularly recruiting, have helped Concordia’s wrestling program grow to be a contender at Nationals year after year. This season the wrestling roster featured 37 Cobbers, but numbers like that were not always the case. Cousins says that coaching staff has success in finding recruits with a lot of potential. Senior Gabe Foltz qualified for his second trip to Nationals after a second place finish in the 133 weight class in the regional tournament. Though he has experienced success in the later part of his wrestling career at Concordia, it has not always been that way. This year the Cobbers enter Nationals more experienced and looking to build off of last year’s performance. Nagel says that the team sets high goals and is close to reaching them. Last year Foltz qualified for Nationals but was quickly knocked out of the tournament. He hopes for a top eight finish at Nationals this time around. 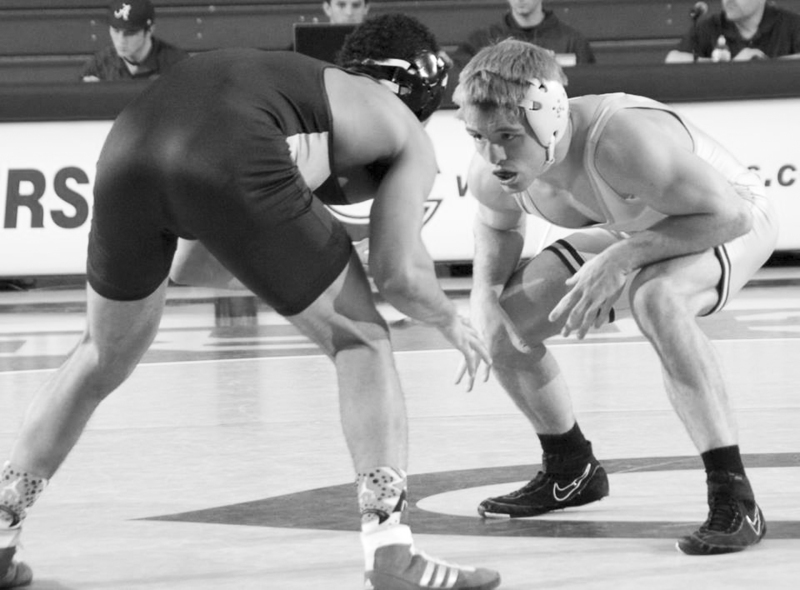 Being a student at Concordia is demanding and wrestling is an added dimension to that. 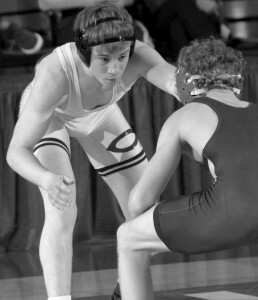 Senior Gabe Foltz qualified for his second Nationals trip after placing second in the 133 weight class. Photo courtesy of Concordia Sports Information Office. “kind of crazy” to others, but that it is also a crucial aspect to the sport. “The reason why [we cut weight] is because we want to be at the weight we feel we can have the most success at,” Foltz said. However, the added demand from wrestling also brings added reward. Cousins says that as he grows and sees himself improve, the more the rewarding the experience of wrestling at Concordia becomes and the more confidence he has on and off the mat.